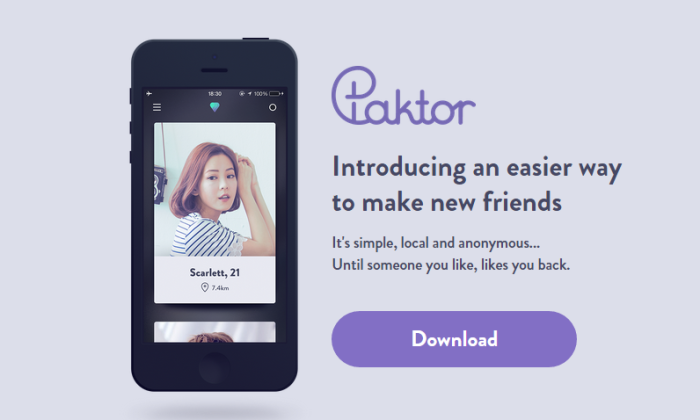 Paktor is headed towards an IPO through M17 Entertainment. M17 Entertainment includes 17 Media, a Taiwanese live streaming service and Singaporean dating app Paktor, and is eyeing a raise of US$115 million public on the New York Stock Exchange. According to a filing, the ability to monetise the platform will be especially important as the business eyes marketers outside of Taiwan, namely Japan and South Korea. According to the company, it plans to leverage its experience and success in Taiwan to achieve growth in other markets within Developed Asia that has high monetisation potential. Going forward, it will continue to roll out its business and stage marketing campaigns to raise brand awareness, recruit more artists, form collaborations with local TV and music partners, enrich content offerings and enhance user monetisation in Japan. The company also intends to continue expansion into new content and PGC verticals, such as movies and TV content, to make entertainment more interactive across multiple media formats. It intends to produce this suite of content through both in-house production and collaborations with external production studios. It also plans to increasingly leverage the vast amount of user data collected on the platform to create targeted content catering to user tastes, refine and improve content and develop localised and relevant new content and services that meet the needs of users. Since launching in Japan in August 2017, the company says it has “grown rapidly to become the second largest live streaming platform by revenue”. According to the an IPO statement, M17 is the second largest live streaming platform in Japan by revenue in the first quarter of 2018 where it increased market share to 18.6% from 9.6% in the fourth quarter of 2017, based on Frost & Sullivan data. Japan is therefore a market it focuses on in Developed Asia. “Japan is the largest media and entertainment market by advertising revenue in Asia and exerts strong cultural influence in Asia. We believe that we have a strong understanding of the Japanese market and culture, which has allowed us to achieve a strong position in the market in only a few months since we commenced operation in Japan in August 2017. Our continued success in Japan is critical to achieving our operating and financial forecasts,” said the statement. “Our business partner for our Japan business, Hirofumi Ono, has a deep knowledge of the market, helping us to fundamentally disrupt the talent management and entertainment industry in Japan and rebalance the power between artists and agencies. This has resulted in a large number of high quality artists joining our platform in a short period of time,” the statement added. The company is said to have had 3,989 contracted artists in Japan in March 2018, an increase from 1,907 contracted artists in December 2017. This has enabled it to acquire 10,585 paying users in Japan in March 2018, an increase from 4,674 paying users in December 2017. Apart from Japan, it also plans to expand business into South Korea in 2018. Similar to Japan, South Korea has a highly developed media and entertainment industry with expanding cultural influence across Asia and internationally. Furthermore, Japanese and Korean content is extremely popular across Asia and is highly marketable in other markets. “As a result, we believe that our growth in South Korea and Japan will not only increase the number of our users from those markets but will also provide marketable content to our users in other markets,” said the release. 17 Media, was launched in Taiwan in July 2015 and has 33.3 million registered users as of March 31, 2018. 17 Media also had 1.0 million average monthly active users in the three months ended March 31, 2018, compared to 1.0 million and 0.9 million in the three months ended December 31, 2017 and in December 2016, respectively. “We are marketers, and we should never lose our guts.”.. The highlight of the exhibition is “the Sports Challenge”, which is a six-days diversified sports experiences, alongside a series .. The network has launched its new "Showcase Pages", which will allow brands to highlight specific areas of their business to Linked..